The Nike LunarConverge 2 Women's Running Shoe delivers comfort with two densities of soft foam underfoot to smooth out the transition. Open-hole mesh provides lightweight, breathable comfort as you challenge your pace. LIGHTWEIGHT TO GO THE DISTANCE. 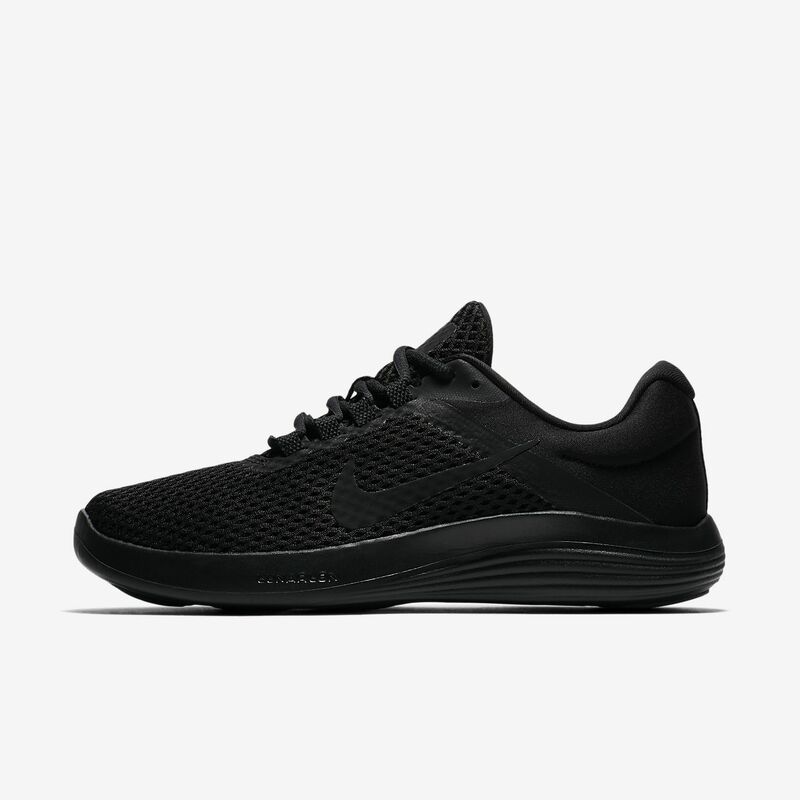 The Nike LunarConverge 2 Women&apos;s Running Shoe delivers comfort with two densities of soft foam underfoot to smooth out the transition. Open-hole mesh provides lightweight, breathable comfort as you challenge your pace. Lofted open-hole mesh upper delivers lightweight breathability. Moulded grooves in the outsole provide flexibility. Midfoot webbing integrates with the laces for a snug fit. Moulded sockliner contours to the foot. Plush dual-density foam has an ultrasoft core that is surrounded with a slightly firmer carrier foam. The two densities work together for a super smooth transition. Have your say. Be the first to review the Nike LunarConverge 2.